Exterior Factor such as the weather, primarily dampness or cold. Dampness manifests itself in the body as a “heaviness” and pain can be strongly related to changes in the weather. A Pathological Weakness in the area which could include symptoms of night sweats, sore throat and sore back. Trauma – usually means you hurt your back either by lifting something heavy, twisting or a fall. 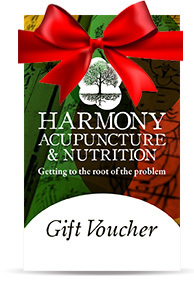 The good news is that all three causes respond very well to Acupuncture and ElectroMagnetic Acupuncture. Acupuncture reduces the swelling in and around the area and helps to get rid of any blockages caused by the injury. This in turn will reduce swelling and reduce pain and will prompt the body to heal itself. In cases of severe disk trauma, acupuncture can be very useful before manipulation by a Chiropractor or Osteopath as it loosens out the area and makes it easier to manipulation and it results in better patient outcomes.